Pure Vanilla Extractives, Sugar, Vanilla Beans Specs, Xanthan Gum (a natural thickener). 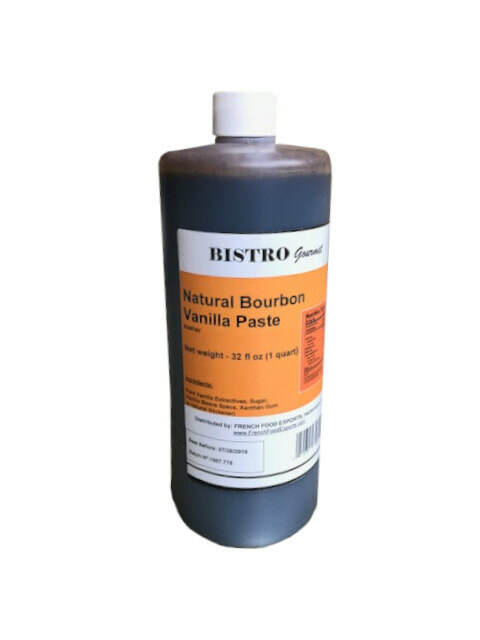 Vanilla paste can be used as a direct replacement for vanilla extract. A small amount is enough to give an intense and authentic vanilla flavor. Perfect to enhance sweet and savory recipes, as well as beverages (such as ice cream, custard cream, crème brulée, pancakes/waffles, milkshakes, or glazing, saucing, ...).